Java is a general purpose programming language with a number of features that make the language well suited for use on the World Wide Web. Small Java applications are called Java applets and can be downloaded from a Web server and run on your computer by a Java-compatible Web browser. Java is defined as an object-oriented language similar to C++, but simplified to eliminate language features that cause common programming errors. The source code files (files with a .java extension) are compiled into a format called bytecode (files with a .class extension), which can then be executed by a Java interpreter. 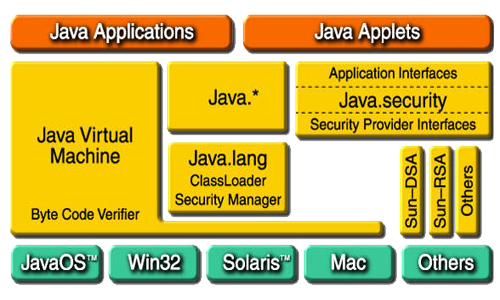 Compiled Java code can run on most computers because Java interpreters and runtime environments, known as Java Virtual Machines (VMs), exist for most operating systems, including UNIX, the Macintosh OS, and Windows. Bytecode can also be converted directly into machine language instructions by a just-in-time compiler (JIT). In 2007, most Java technologies were released under the GNU General Public License.